Anna keeps trying to persuade herself that she doesn’t care about Finn either, but even though they’ve both changed since they first met, deep down she knows he’s the guy for her. Now if only she can get him to believe that, too…. I have loved Claire’s two previous Austen retellings, and I cannot wait to see what she does with Persuasion! 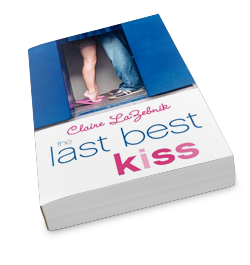 Claire LaZebnik + Persuasion = Guaranteed Awesome.